Ears were one of the first parts of the human body to be adorned with jewellery. Did you know that in olden days men wore earrings as much as women did? Back then, ear ornaments were an important symbol of societal status. They symbolised not just wealth and aristocracy of the upper classes. Different types of earrings were worn by slaves and pirates, too, to mark their social status. As time passed, these tiny trinkets became a fashion statement. No other ornament can change your look instantly like a pair of earrings does. Today, there are many types of earrings. These include studs, danglers, hoops, chandeliers, drops, and ear cuffs, to mention a few. Of these studs are most favoured for everyday use. The history of earrings would show us that the demand for stud earrings increased during the middle ages. This was because the high collars and ornate wigs increased in popularity during that period. Centuries have passed, yet studs are favoured not any less. 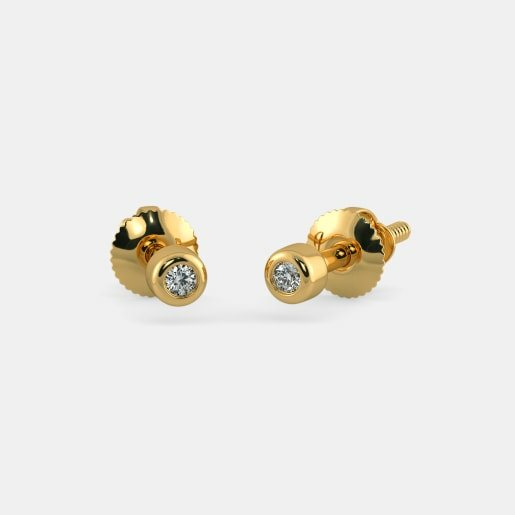 The designers at BlueStone has created a number of everyday studs earrings designs to add glitter to your life. Most women typically group their earrings under three heads - home wear, office wear and party wear. Some of the best everyday studs earrings to can be worn at home. These include the Harshali Earrings and the Prakriti Earrings. 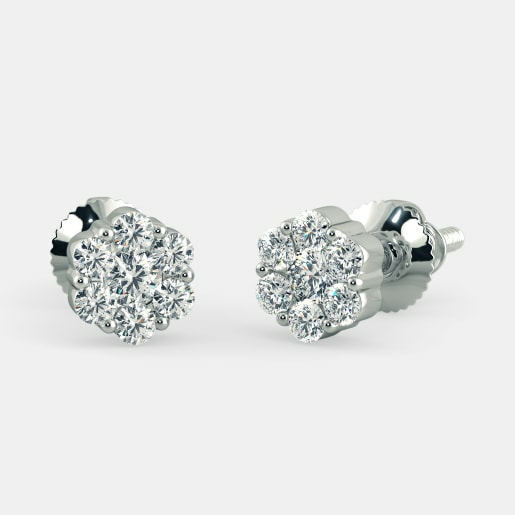 Stud Earrings are the most preferred form of earrings for corporate women. They look great, but do not attract too much attention. Designs like the Anvita Earrings and the Bellona Earrings are ideal for office wear. Plain gold earrings are also ideal for office wear. Some of our popular gold earrings include the Gold Leaf Earrings and the Ashlesha Earrings. Jewellery for the office should be subtle but party-wear jewellery needs to stand out. 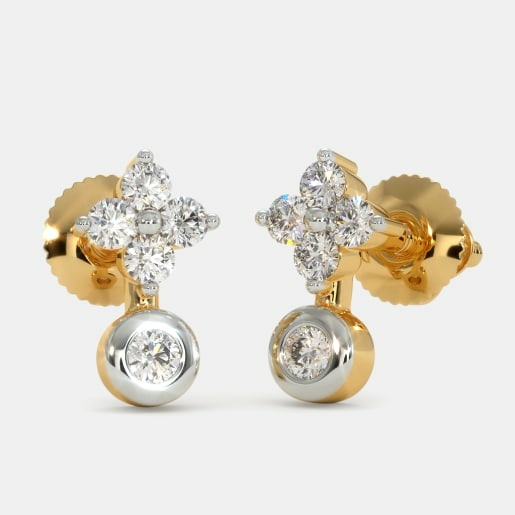 The Supreme Stylite Stud Earrings and the Mombasa Stud Earrings are two such designs. These are sure to put you in the spotlight. 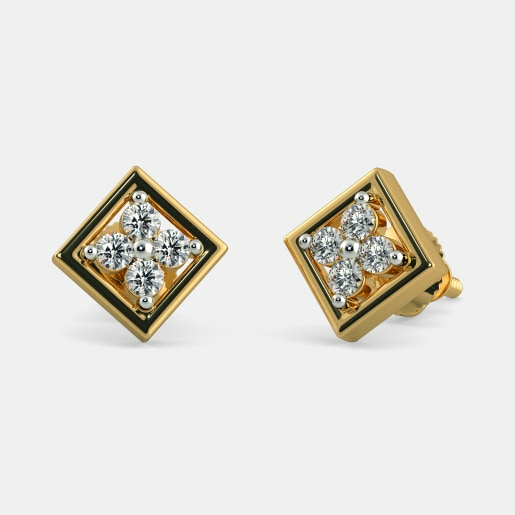 Do You Fancy Solitaire Studs? If you do, here is a collection just for you! 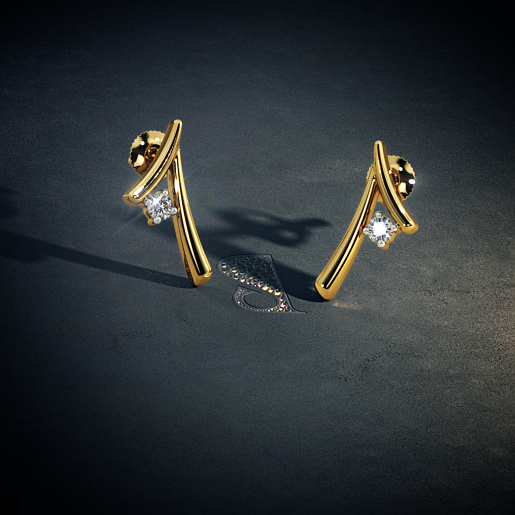 Solitaire studs have been every woman’s favourite ever since they were first introduced. 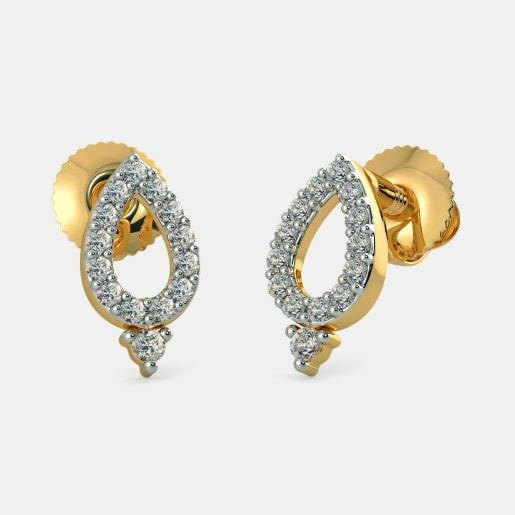 The Samaira Earrings and the Ruon Earrings are examples of the classic solitaire setting. 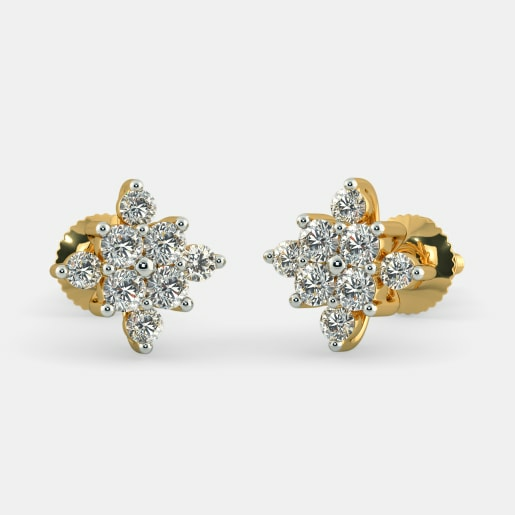 Our everyday studs earrings collection also includes modern variants of the solitaire setting. The Isidora Earrings and the Carina Earrings are two such designs. Do you want the sparkle of large diamonds without having to pay a fortune for it? You can get the look of a large diamond at a lower cost with a halo setting. This design typically features a single large diamond that is encircled by other smaller diamonds. This looks like a single large stone from afar but is more cost-effective. 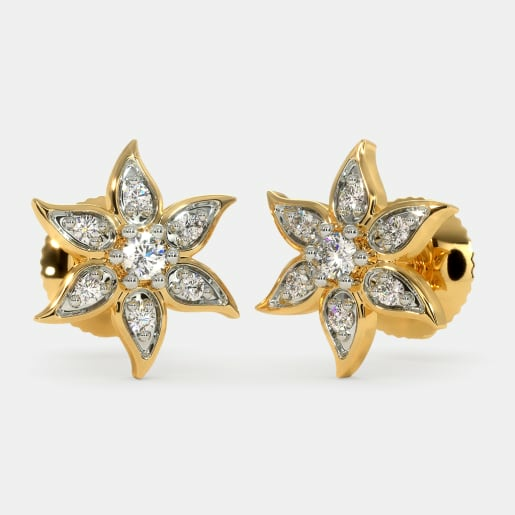 The Kellen Earrings and the Kaareva Stud Earrings are two such designs. 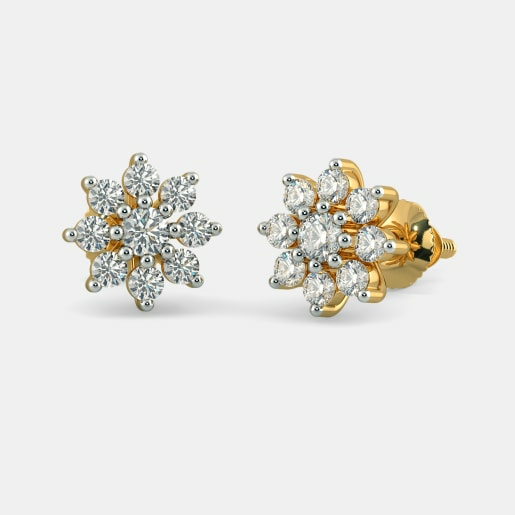 You could also look at cluster earring designs like the Auste Earrings and the Brigit Earrings. Isn’t this Time to Add Some Colours to Your Jewellery Box? 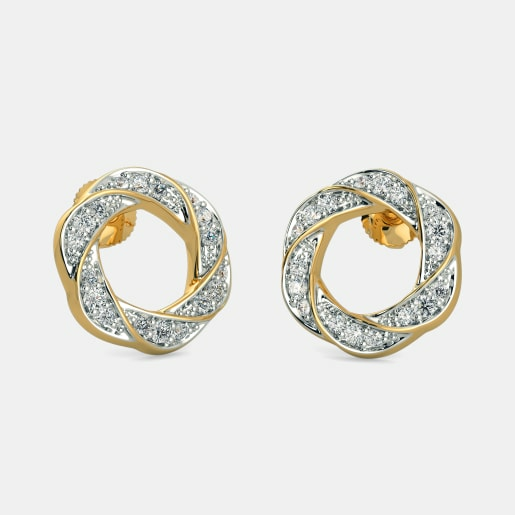 Gold and diamonds can match any outfit, but they are not always enough. Many women like to match the colour of their outfit to the colour of their earrings. 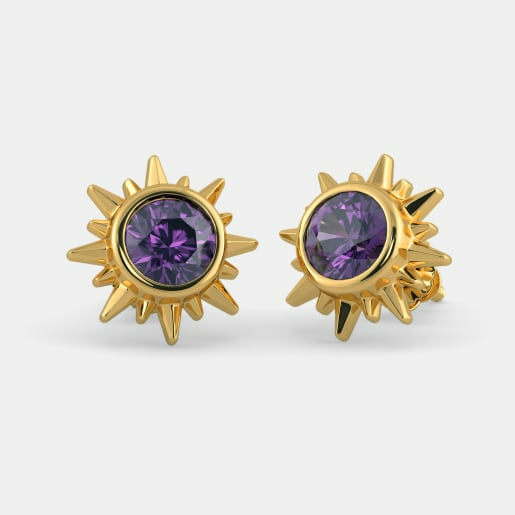 Our designers have two ways of adding colour to our new designs in everyday studs earring. The first is to use a colourful gemstone. For example, the use of amethyst gives the Ethea Earrings a purple tone. 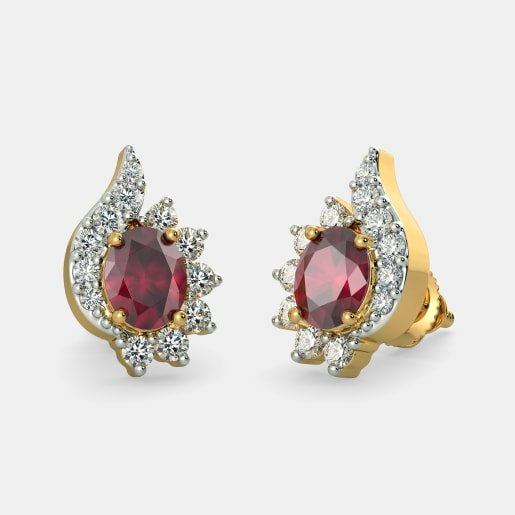 In the same way, a ruby ensures that the Root Chakra Earrings matches red outfits. If you like yellow you may also like the Solar Plexus Chakra Earrings. Secondly, enamelling parts of the design can also add a splash of colour to gold earrings. The Monochrome Memories Earrings are one such pair of earrings. From young girls to grandmothers, every woman loves earrings. 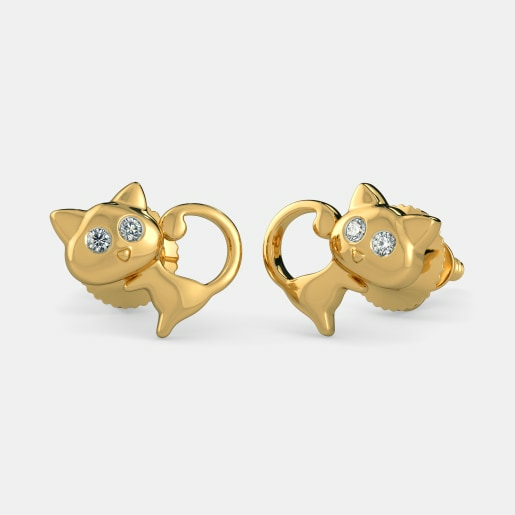 Stud earrings like the Cute Meow Earrings for Kids are ideal for young girls. 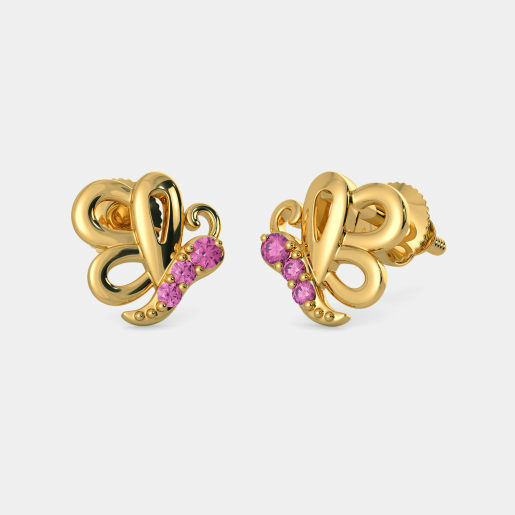 Teenagers may prefer the Pretty Butterfly Earrings for Kids. As girls grow older and start college, they may prefer designs like the Ki Earrings. The Voia Earrings are another popular design for this age group. A pair of earrings like the Trois Earrings is the ideal graduation gift for a woman. Sarika Earrings or the Hamsa Earrings are ideal designs for elderly ladies. 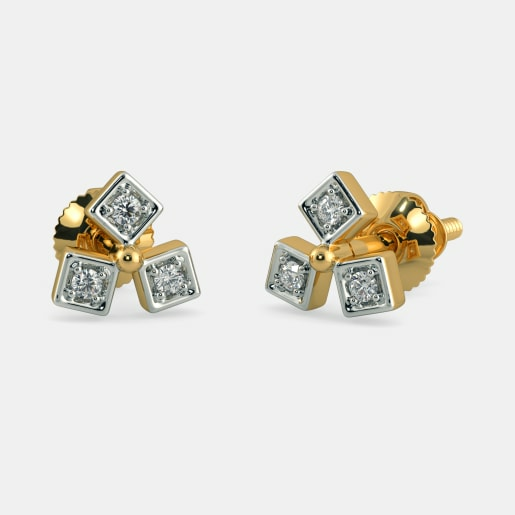 Many of our trendy everyday studs earrings online convey a special meaning. 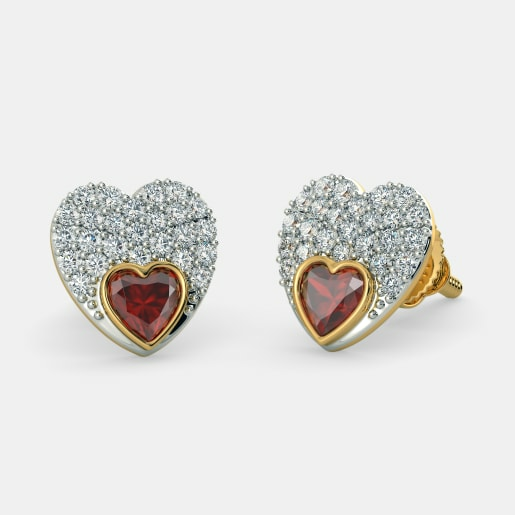 For example, the Olphia Earrings and the Espria Earrings are ideal Valentine’s Day gifts. This is because they are inspired from popular Valentine’s motifs like the heart and rose. Similarly, the Indrani Earrings can be gifted to a musician as recognition of her talent. Want to tell someone how unique and special she is? 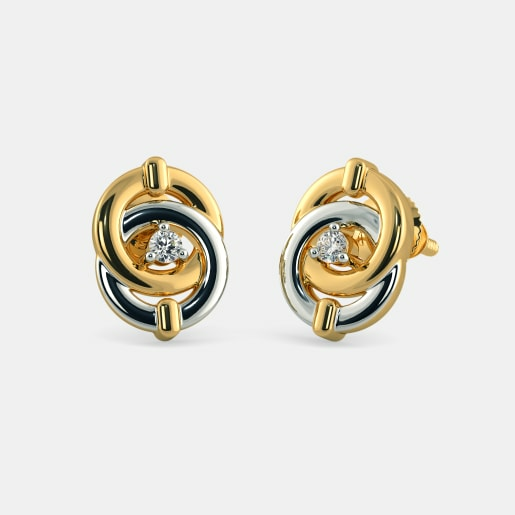 Go for solitaire earrings. Two such designs are the Kivalo Earrings and the Minia Earrings. 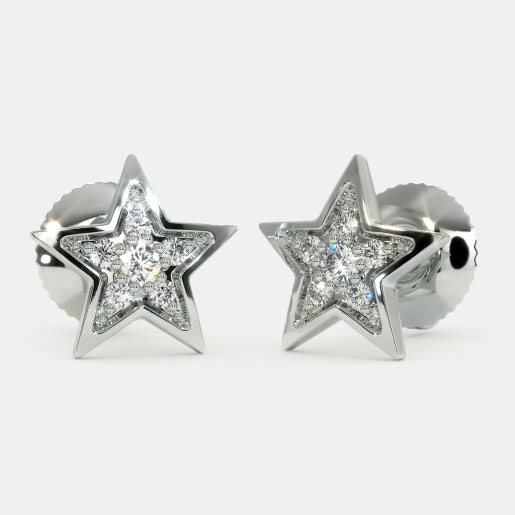 The Aqura Earrings symbolise a special bond and are the perfect gift for a mother. 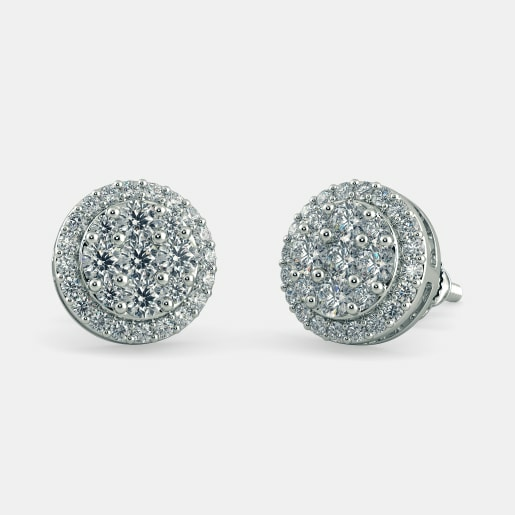 How to Buy Everyday Studs Earrings? 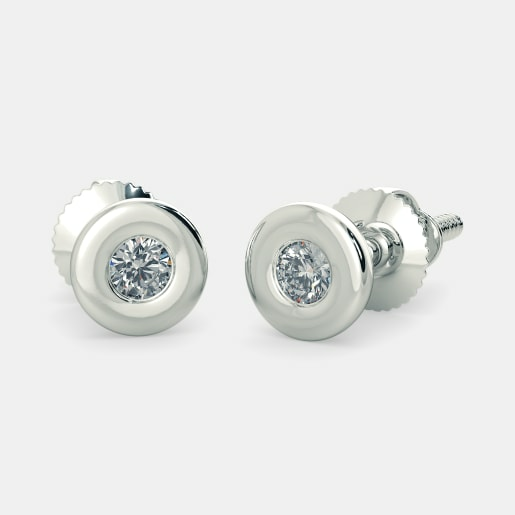 At BlueStone, we have a wide variety of everyday stud earrings. Our designs vary by theme and budget. 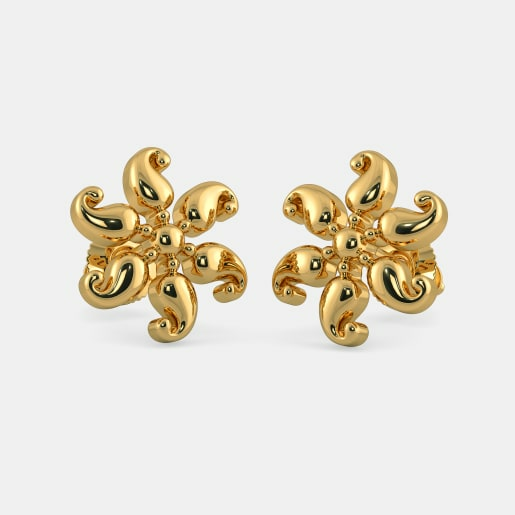 On one hand, the Iksha Earrings are inspired by beautiful flowers. On the other, the Jelya Earrings have a minimalist tone. At BlueStone you can buy a pair of earrings for yourself or choose to gift someone a pair of earrings. Depending on their birthdate, you could buy them earrings with their birthstone. 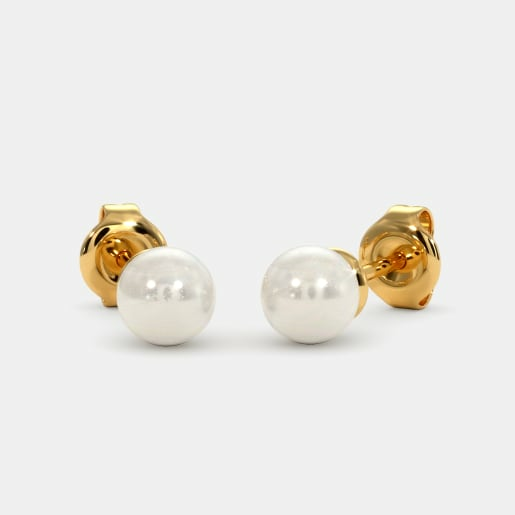 For example, the Anahita Earrings features a pearl. This is the birthstone for women born in June. 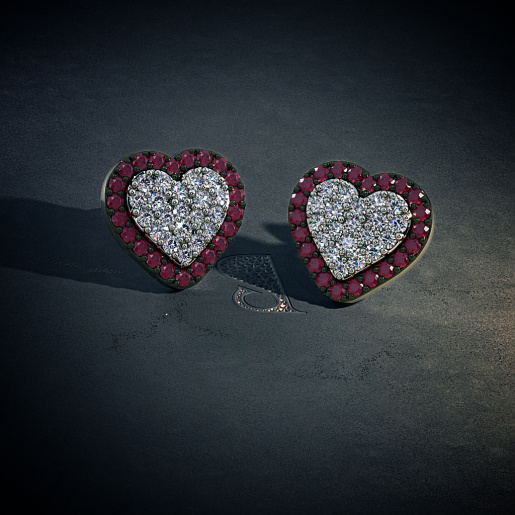 In the same way, the Migan Stud Earrings feature a ruby. This makes them the perfect gift for a woman born in July. Our designs are typically made in 18kt and 22kt gold. They can also be custom made in 14kt gold if need be. You may also customise the colour and clarity of diamonds in a design based on your preferences. 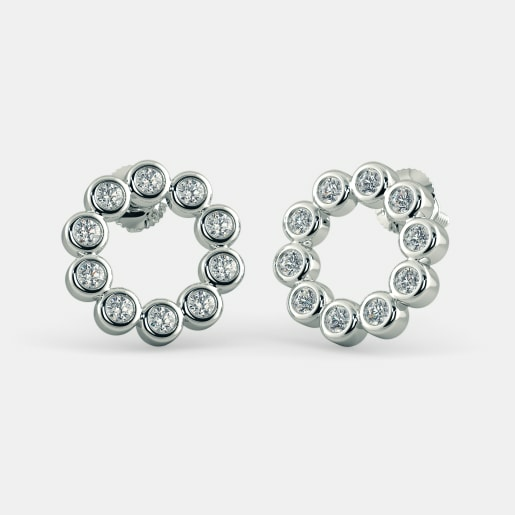 Our everyday studs earrings price range is diverse and competitive. You will never have to limit your options because of the price tag.